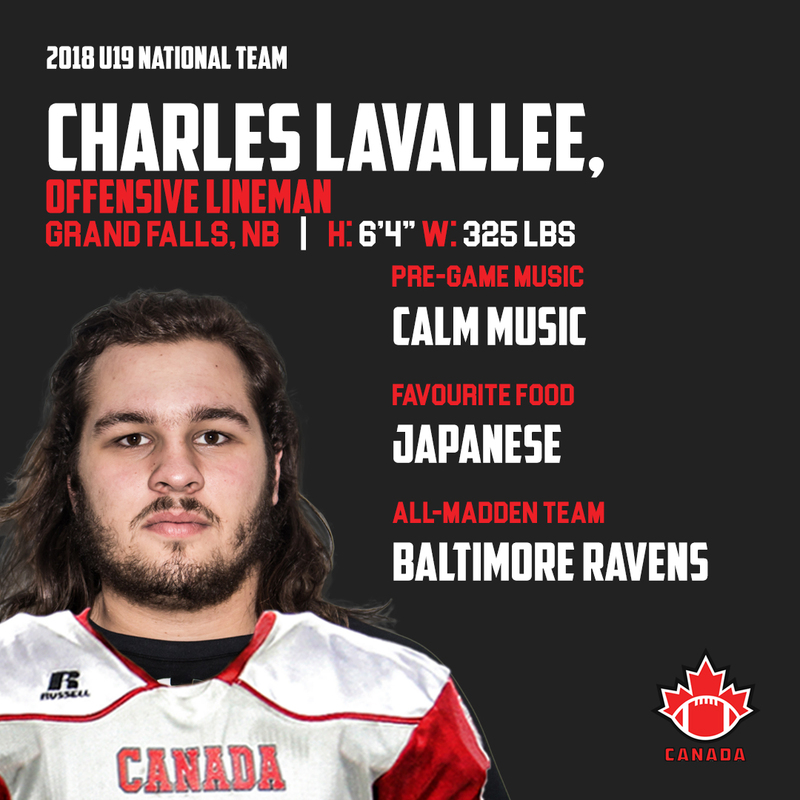 Charlie Lavallee is an offensive lineman from Grand Falls, New Brunswick who will participate at the 2018 International Bowl in Arlington, Texas as a part of the National Under-19 team. Coming from a town that did not have football, the lineman moved to Moncton to jumpstart his gridiron career. 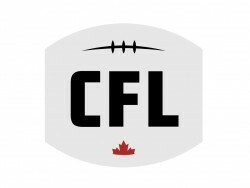 Among the teams Lavallee has played for during his career include Odyssee Olympiens of the New Brunswick High School Football League (NBHSFL) and Team New Brunswick. 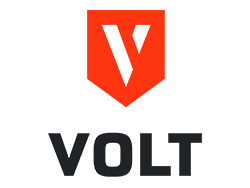 Currently, he is a member of the Atlantic University Sport’s (AUS) Mount Allison Mounties. The highlight of Lavallee’s career has been interacting with his coaches and teammates. Lavallee appreciates the love and support that his parents give him as he would not have been able to achieve his goals without them. With his selection to the National Under-19 team, this will be Lavallee’s third consecutive time wearing the Canadian jersey. Last year, he represented the country at the North American Championship in Florida. When he learned that he would be heading to Texas for the 2018 International Bowl, Lavallee was grateful to have the opportunity to play more football during the offseason. “Coming from a small town like Grand Falls, it’s an unreal moment when you go into AT&T Stadium looking up at the stands. I am a big fish in a small pond. I feel that I got blessed playing football. Apprenez à connaître le quart arrière de l’Équipe d’étoiles de l’Est Nathan Falconi! Get to know U16 East All Star Team Defensive Back , Owen O’Neal!